The Caribbean Examinations Council (CXC), supported by the new IDRC funded, UWI led project, Improving Household Nutrition Security and Public Health in CARICOM (FaN), is in the process of revising the curriculum of some subjects to include more content about Non-Communicable Disease (NCD) and their risk factors. According to Principal Investigator of the project, Prof. Alafia Samuels, this is in keeping with the recommendations that came out of the previous evaluation of the CARICOM Heads of Government Port of Spain Declaration on NCDs which was led by the George Alleyne Chronic Disease Research Centre of the University of the West Indies. Prof. Samuels noted that the team was starting with two subjects – Human and Social Biology at the Caribbean Secondary Education Certificate (CSEC) level and Integrated Science in the Caribbean Certificate of Secondary Level Competence (CCSLC) curriculum. However, there are plans to extend this to other subjects. “There are other subjects like biology for example, home economics, even english literature. There are books that maybe the children could be reading that would give them some insight into marketing and how they are being persuaded to want certain food and drink through marketing… And even though the project is focused on three countries, with CXC you get all the countries of the Caribbean. So it really is what you call a multiplier. One intervention which could have a big impact down the road,” Prof. Samuels explained. 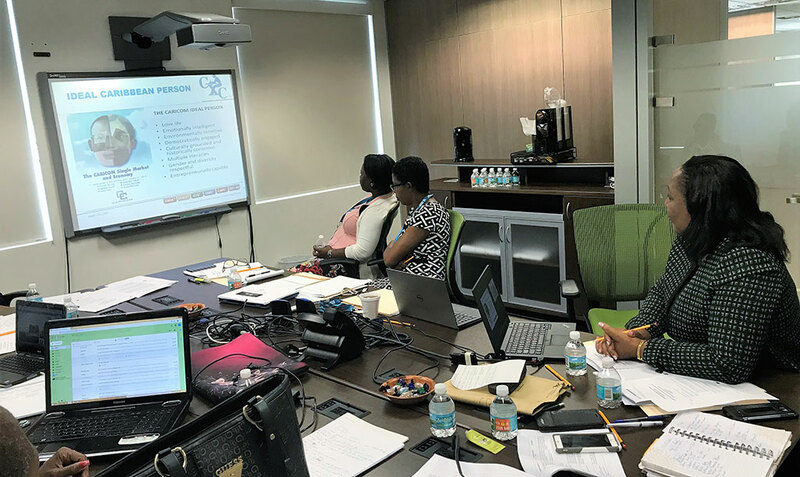 During meetings with CXC, the team highlighted the magnitude of the problem of NCD’s in the region as well the social and commercial determinants of health. “We feel that educated children are empowered children and CXC has been a very good partner for us to work with,” Prof. Samuels concluded.